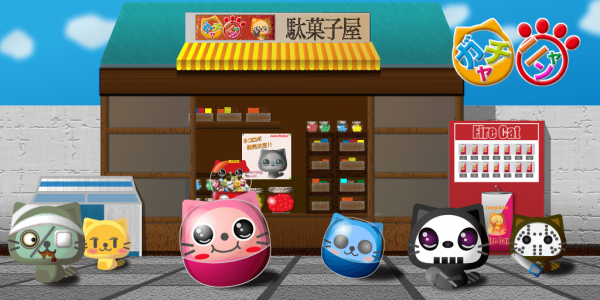 This is a simple, fun and very addictive cat puzzle game. 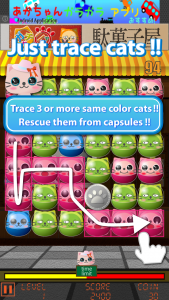 Your goal is rescuing cats from capsules as much as possible by tracing 3 or more same color cats with your finger. 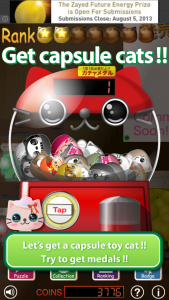 After playing the puzzle game, you will get a capsule toy cat by playing a capsule toy machine with a medal. There are about 70 capsule toy cats. Let’s try to get all of them !! 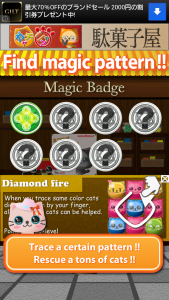 If you do magic skills with tracing a certain pattern, many cats will be rescued. There are 7 magic skills but they are hidden. 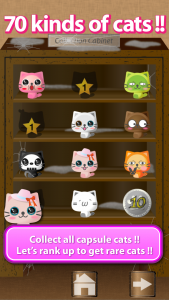 Find all magic skills and get all capsule toy cats ! !